A senior al Qaeda leader who serves as al Qaeda’s ambassador to Iran, and is wanted by the US, is reported to have been killed in a Predator airstrike in Pakistan’s Taliban-controlled tribal agency of North Waziristan two days ago. The report has not been confirmed. US intelligence officials contacted by The Long War Journal did confirm, however, that two important al Qaeda operatives have relocated to the Federally Administered Tribal Areas of northern Pakistan. The first is Atiyah Abd al Rahman, a Libyan national who has been based in Iran and served as Osama bin Laden’s ambassador to the mullahs. 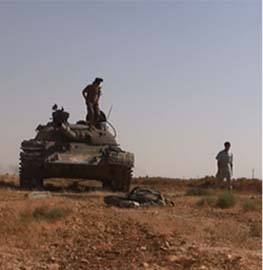 Unconfirmed press reports indicate that Rahman was killed in an airstrike earlier this week. 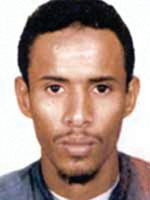 The second is Fahd Mohammad Ahmed al Quso, who is wanted for his involvement in the Oct. 12, 2000, bombing of the USS Cole. Quso was reportedly killed in an airstrike in northern Pakistan in September, but US intelligence officials have not been able to confirm that Quso is really dead. Atiyah Abd al Rahman may have been among one of four “militants” killed in an Oct. 7 airstrike on a compound and a vehicle in the village of Khaisoori in the Mir Ali area of North Waziristan. 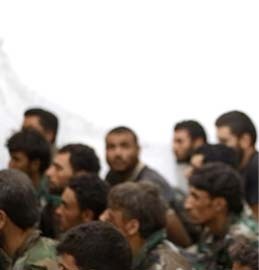 Another operative identified as Khalid Mohammad Abbas al Harabi was also reportedly killed. However, US intelligence officials would not confirm the report when asked by The Long War Journal. They noted that while Atiyah Abd al Rahman is thought to have been operating in the area of the airstrike, his death has not been verified. Khalid al Harabi is an alias for Khalid Habib, al Qaeda’s former military commander who was killed in a US Predator strike in October 2008. 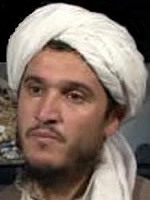 Habib served as the leader of Brigade 055, al Qaeda’s military formation in Afghanistan, after the death of Abu Laith al Libi, and also served as the leader of the Lashkar al Zil, or the Shadow Army. The Pakistani intelligence official cited by DPA described Khalid al Harabi as a “low-ranking” al Qaeda operative. Al Harabi was not “low-ranking,” so the Pakistani official may have been referring to another al Qaeda figure. In any event, Khalid Habib has been dead for two years. Atiyah “became acquainted with [Abu Musab al Zarqawi],” the deceased leader of al Qaeda in Iraq, in the western city of Herat in the late 1990s. “He retreated with Usama bin Ladin to the mountainous Afghanistan-Pakistan border region in the fall of 2001,” according to the State Department. Another al Qaeda operative reportedly killed in recent drone strikes is Fahd Mohammed Ahmed al Quso. As with Atiyah, US intelligence officials contacted by The Long War Journal could not confirm Quso’s death. They did confirm Quso’s presence in northern Pakistan. It is not clear when Quso relocated to northern Pakistan. It is just the latest wrinkle in his story. In January 2000, Quso helped deliver thousands of dollars to a top al Qaeda planner known as Khallad in Bangkok. Khallad, whose real name is Tawfiq bin Attash, helped al Qaeda plan both the Sept. 11 operation and the attack on the USS Cole. It is not clear what the money was used for, as Quso and Khallad gave varying accounts when they were later interrogated. On that same trip, Quso met with two of the 9/11 hijackers in Malaysia. According to the 9/11 Commission, Quso was supposed to film the attack on the USS Cole from a nearby apartment, but missed it. He was later detained, but escaped from a Yemeni prison in 2003. He was recaptured in 2004, and either escaped from prison or was set free by the Yemeni government in 2007. 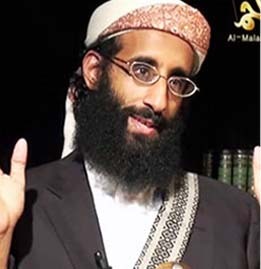 Press accounts in 2009 and 2010 tied Quso to the notorious al Qaeda cleric Anwar al Awlaki, who is operating from Yemen. It is likely that Quso is still in northern Pakistan, if he was not killed in an airstrike there in September. The US hit targets in Mir Ali three times this week, and has struck at targets in North and South Waziristan 29 times since Sept. 1. This unprecedented increase in strikes takes place as the US is seeking to disrupt a plot by al Qaeda modeled after the November 2008 Mumbai terror assault. 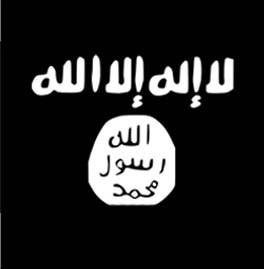 Al Qaeda operatives were to carry out a terror assault against several major European cities, using armed gunmen. The plot was reportedly ordered by Osama bin Laden. The US has been pounding targets in the Datta Khel, Miramshah, and Mir Ali areas of North Waziristan in an effort to kill members involved in the European plot. 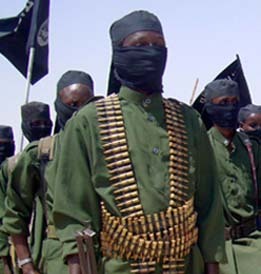 Al Qaeda and allied terror groups such as the Islamic Movement of Uzbekistan, the Islamic Jihad Group, the Eastern Turkistan Islamic Party, Jaish-e-Mohammed, Lashkar-e-Jhangvi, and a host of Pakistani and Central and South Asian terror groups host or share camps in the region. I am actually going to call shenanigans on this particular report. Its DPA, the same exact source that has cited probably the same two anonymous Pakistani intel agents to claim that Hezbollah hijacker Hamadei and Abu Sayyaf bomber Abdul Basit among other surprising names have been offed in Pakistani drone strikes…none of which have been independently confirmed and probably bunk. The only thing Hamadei, Basit, and Attiyah really have in common is that they all command seven figure bounties on the State Department’s Most Wanted Terrorists list. So I think you have two ISI agents throwing darts at the mug shots and leaking to a collaborator reporter that they’re the latest ‘kills’ in the drone war. 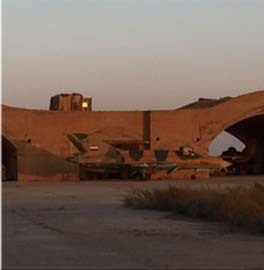 Does it appear that the “operational space” where drones have been allowed to operate has expanded? Tyler, Tom and I are also skeptical and were clear these are unconfirmed reports. However we are hearing that both Atiyah and Quso have been spotted in the tribal areas. Bill, I think that the “may have been killed” gave us what you felt was the validity factor. Like Tyler, I am also skeptical when I hear that the source is a Pakistani. stating “American intelligence was unaware that he was in the area; he was collateral damage.” This has been bugging me ever since I read that. Did he know who we were shooting at? Did he get his info from an intel guy? As we made clear, the US intelligence officials we talked to did not confirm that either Atiyah or Quso were actually killed. We are skeptical that they were killed, for a variety of reasons, to say the least. But these unconfirmed reports of their deaths actually opened another small window into the FATA because both are apparently operating there now. That is news in and of itself. Again, not so much the ‘Pakistani’ sources as much as it is the German Press Agency. This is the fourth or fifth story this year that featured some celebrity terrorist on the FBI most wanted list not previously thought to have been in Pakistan that DPA has reported as being killed in a drone strike. Without hard confirmation on some of these going all the way back to that Abu Nidal hijacker, just passing along the info that I’m getting wise to DPA’s act. Just a worthwhile angle to stories like these to keep in mind in the future. But it would definitely be interesting if Attiyah and Quso are confirmed to be back in AfPak as you are independently suggesting. Perhaps a sign of Al Qaeda Central’s thinning ranks, forced to call up 20-year vets from the bus leagues, to butcher a baseball analogy. This apparent death is coming on the back of increasing tension in US-Pak relations. It’s almost too good. It’s like the Pakistanis are trying to appear that they are still fighting the good fight with the US. This is something that I also found rather alarming. Does anyone think that Al-Qaeda would possibly stage the deaths of their own leaders just to throw the US off their trail?? If so, it would certainly be a last-ditch survival tactic, since AQ is running out of experienced leaders. And hiding places. One thing to keep in mind is that the US has ways of IDing people from drone imagery. They’re known to have interest in face recognition from high zoomed images and autofocus on highly zoomed images (both open research in universities). Gait analysis too (if they already have reference info on gait (perhaps from previous drone imagery). One might speculate that they are using this and perhaps the face recognition bit isn’t always in real time i.e. when not IDing for a kill a lot of the face-rec is done offline on high res video. One can imagine this process popping up a few hours or even days later saying the system saw these people (who are in the system) at these locations. HUMINT is the other possibility. The CIA is running a large number of Afghans who would be recruited into these orgs. Not at the top but pretty low down. If they have meetings like the 300 person gathering stray talk or sightings might lead to intel like this. All just speculation but thats one way to get the info without the ISI though they clearly have HUMINT in the region. The ISI isn’t going to get a bounty I suspect. But if we are giving bounties to IS then unless they can prove the person is dead it won’t appear. I know this is an old article, but i just wanted to say that i dont think he is dead. As-Sahab released a video of him in March this year, and they put “may Allah preserve him” next to his name. This, as well as Al Qaeda never confirming his death, leads me to believe he is still alive.